This cabinet card features ten beautiful young children posed together for what is likely a portrait of an extended family. The children are well dressed for their visit to the photographer. 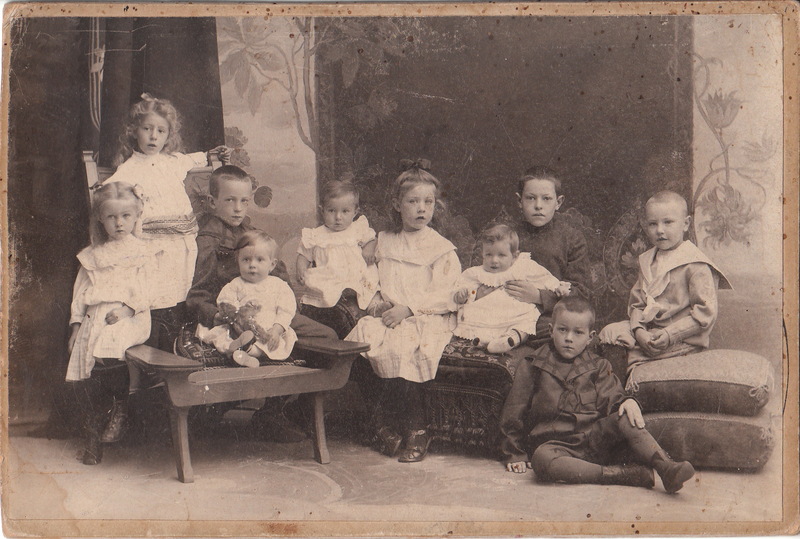 Two of the boys are holding their baby sibling in position for the photograph. Note that the baby on the left is holding a stuffed animal, possibly a teddy bear. The photographer of this image is A. Steiker whose studio was located in Moscow, during the time of Imperial Russia.